An unprecedented event is taking place these days at “Première Vision” fabric tradeshow in Paris. “Maison d’exceptions” is an exhibition that brings together crafts and know hows from around the world, traditional but also contemporary techniques. It is a space for discovery and encounters with artists who work mostly for big fashion houses. They are unknown for the general public. But their stories are worthy of being told. Born and educated in Kyrgyzstan, Aidai is the daughter of a felt yurt-maker and the grand-daughter of felt carpet-maker. Textile expert and teacher, Aidai is determined to contribute to the conservation and recovery of traditional Central Asian textile work. 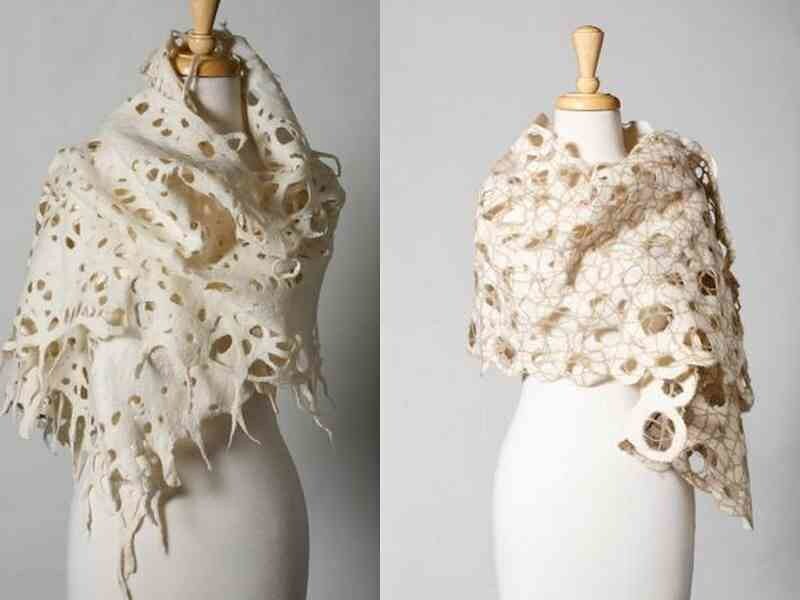 Her scarves combine silk and muslin weavings with wool felting and pearl embroidery techniques. 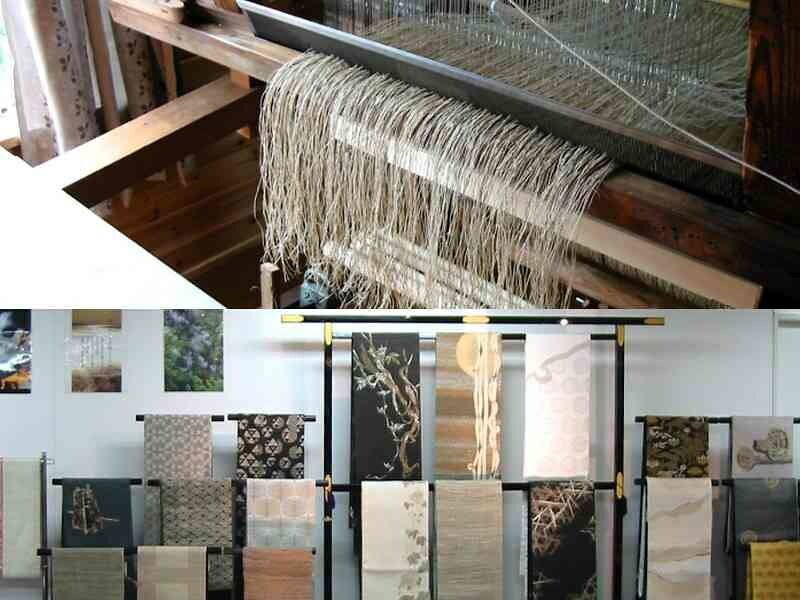 In Japan, Amaike Textile Industry combines craftsmanship and technological prowess. 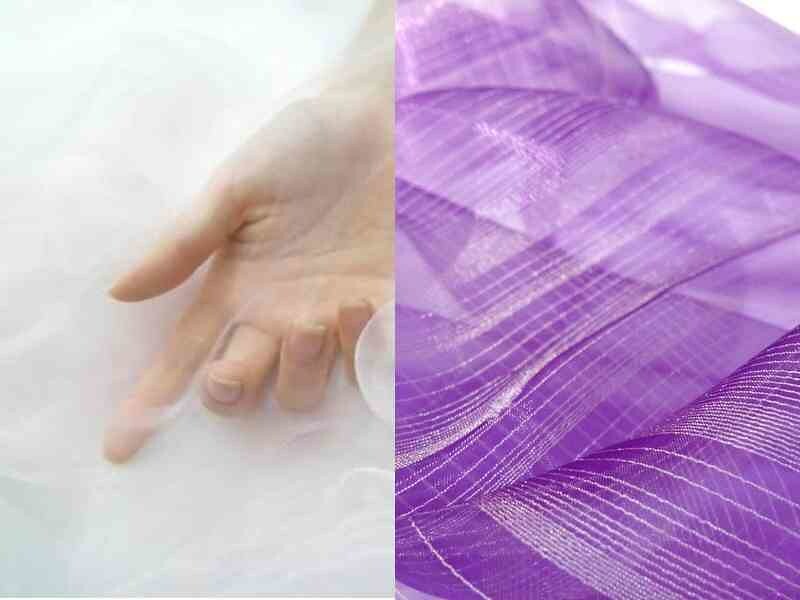 They created the “Super Organza”, the thinnest and lightest clothing fiber over the world. 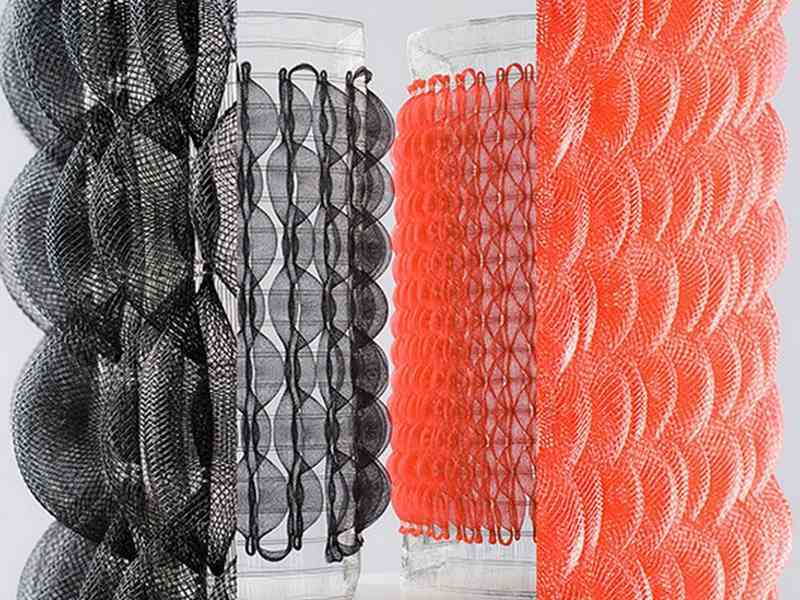 Its thickness is one-sixth of a hair thread and fabric weighs only 10 grams per square meter. In his workshop in Tournai, in Belgium, Daniel Henry masters textile printing like no other. His watchwords are “coating, dévorage, blistering”. 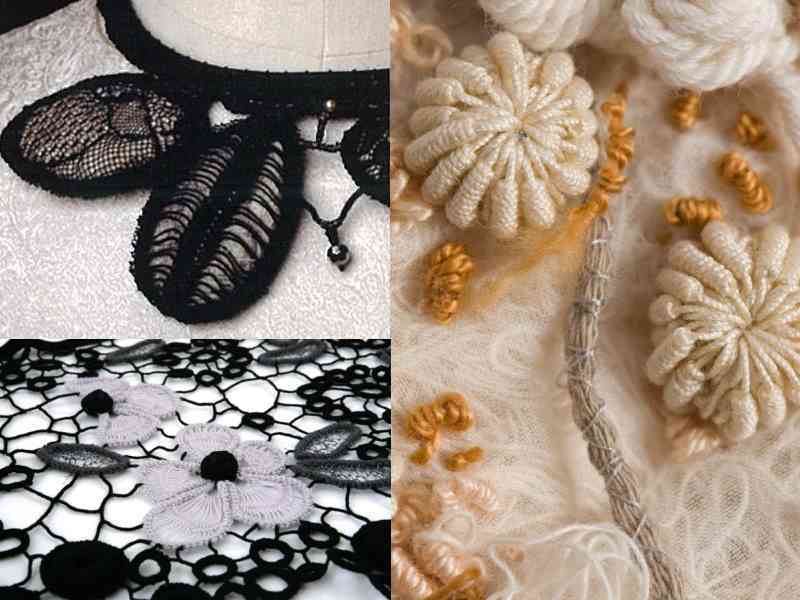 He experimentes with the most varied media such as knits or pleated fabrics and combines his own techniques with embroidery or airbrushushing. In Yushisha, a traditional Japonese workshop, artisans produce Fujifu, old fabric made from wisteria with a soft handle and quiet shine, which is now considered ” material cultural good” in Japan. Wisteria fibers are processed into yarns and woven by hand. 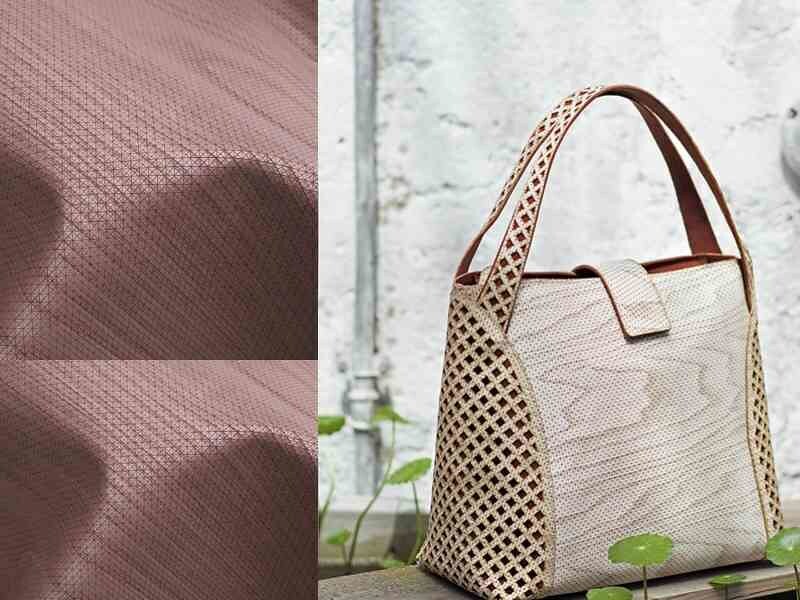 In Italy, Marcello Antonelli, businessman and former director of textile companies, and his designer daughter Marta, have developed an innovative material that combines wood with textiles. Their idea was to find an aesthetical alternative to leather and reduce the effects of factory farming and the tanning industry. Their unique patented process is to adhere very thin sheets of wood onto a textile support with an environmentally friendly glue. This produces an unespected material that combines the traditional properties of wood with the suppleness of textiles. In her research workshop in Aubervilliers, Luce Couillet uses her loom to create custom fabrics for fashion, sports or interior architecture. She blends fibers and threads of all sorts such as wool and metals, mohair and recycled inner tubes, stainless steel and nylon braids. It consists of refined hybrid weaves with unexpected touches and volumes. 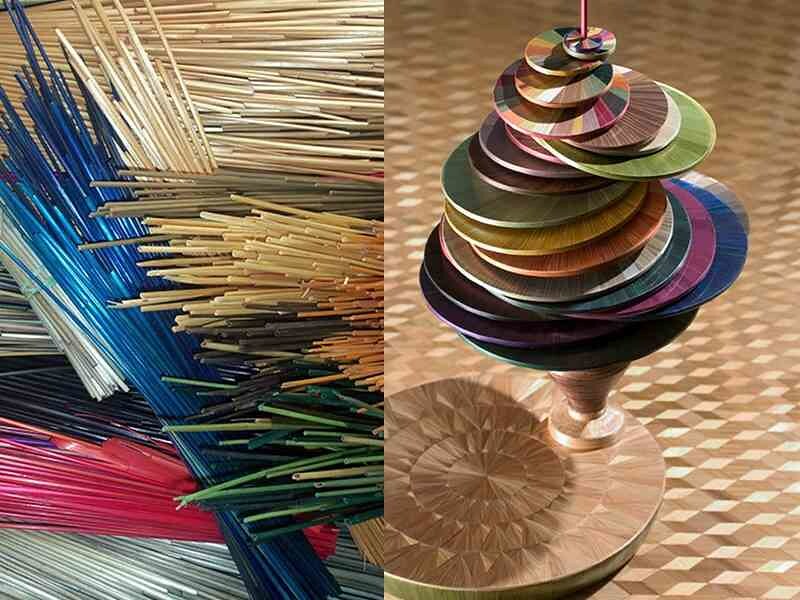 Valerie Colas des Francs is an artisan who has been practicing straw marquetry for over fifteen years. In her workshop in Nemours, she shapes rye straw, dye it and braid it to restore furniture and objects. Today she is going beyond the classic modes of straw marquetry and she is moving into the realm of fashion jewelery and accessories in order to enhance the radiant qualities of this simple and adaptable material that catches and reflects light in a surprising way. The work of Sarah Radulescu grows out of conversations between her private experiences and encounters. During her childhood in Cameroon, she learned to sew and embroider. Later, she discovered her husband’s country, Romania, and traditional handcrafted pieces known as “macramé”. Today she combines embroidery and felting to create animal, vegetal or more abstract forms. The ancient technique of Shibori is still practiced in the craft workshop of Arimatsu. It is a traditional Japanese textile dyeing technique, dating back over 400 years. 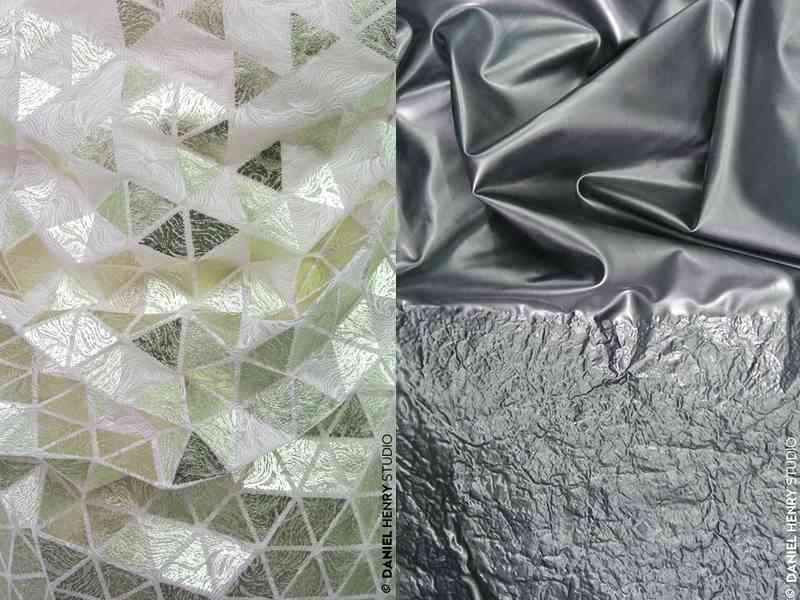 Portions of the fabric’s surface are tied, sewn and folded, creating after dyeing, degradé and color contrasts as well as three-dimensional motifs and pleat effects. The Murase family ennobled fabric for five generations and considers Shibori as their own cultural heritage. 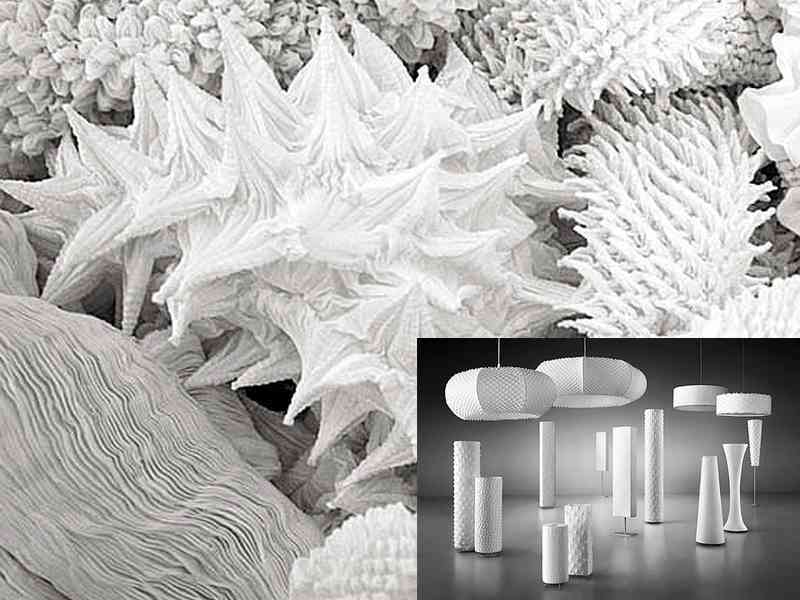 Today they use innovative techniques to develop contemporary creations such as lamps to refresh the image of this artisanal craft. As for me, I was very happy to be able to look at these beautiful objects and discuss with some of these artisans. Their scrupulous work motivates me to continue with my “vernacular” technique: sewing.